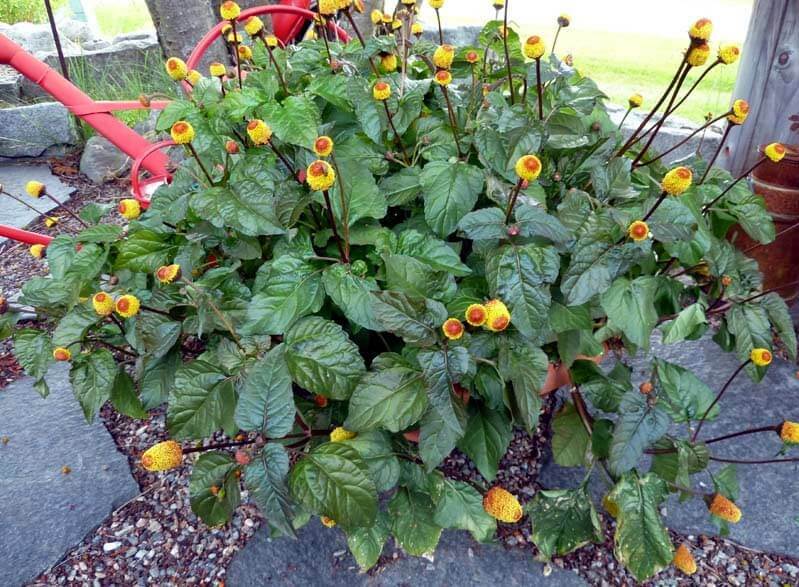 plant is also used for ornamental purpose. buzz buttons, tingflowers, electric daisy and jambu. It grows well in full sun to part shade. fertile soil. It prefers a soil pH of 6.1 to 6.5.
should be able to harvest again during the season. properties, and it enhances the immune system. The leaves are often eaten raw and taste good in salads. The whole plant (root, stem, leaf and flower) is medicinally active. 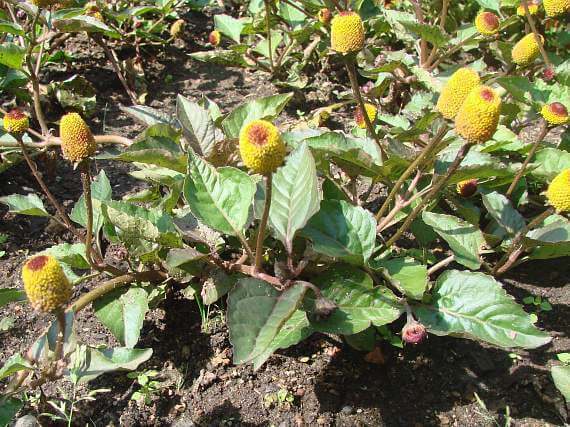 Toothache plant is traditionally used for treating toothache, the analgesic effect has been attributed to the presence of Spilanthol, an antiseptic alkaloid, and a substance that also promotes salivation. Simply chew the leaves or blooms for a few seconds then you will experience a tingling and numbing sensation in your mouth. An infusion or tincture made from the Toothache Plant is said to promote gum and throat health due to its strong antibacterial properties.